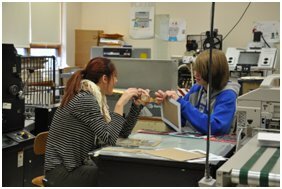 In Graphic Arts students develop skills in developing, designing, and producing products. Students explore technologies of design, printing, publishing, and packaging processes that are required for graphic arts, commercial advertising, and marketing industries. The field of graphic communications encompasses all graphic processes from origination of the idea, which includes design and illustration, to the production, finishing, and distribution of the finished products. This program involves the creation of multi-dimensional products and electronic transmissions. It integrates technologies of pre-press, digitizing, interactive multimedia, digital imaging, and desktop publishing. 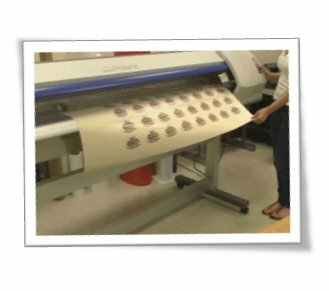 All of the printing methods, such as offset lithography, letterpress, screen printing, engraving, foil stamping, thermography, heat-transfer, embossing, laser printing, vinyl cutting, and other electronic imaging and reproduction methods are learned in this program. 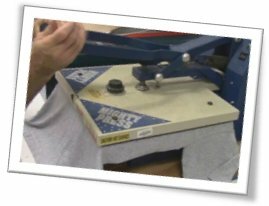 Post-press operations, which include folding, cutting, fastening, personalizing, and product distribution are stressed throughout the program. Finally, students work on live projects for real customers and develop skills in customer service, sales, and marketing. 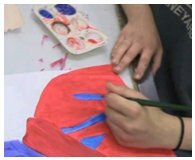 Students develop projects from origination of an idea to its finished product. Students create live jobs for real customers. This process allows students to gain skills in customer service, sales, and marketing. procedures, studio safety, basic tools, and supplies. Also introduced are the elements of type, drawing line art, and computer introduction. 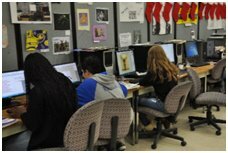 Students in the Graphic Arts Program can practice their skills while competing in SKILLS USA in various competitions in Advertising Design, Graphic Communications, Career Pathways Showcase, and more. In the second year of the program, students begin to explore the basics of production through a study of graphic arts and related theory. After a review of print shop procedures and safety, students learn basic copier operation, screen print process and procedures, design, photography, and line art reproduction. Students also begin experimenting with paper, graphic materials, color theory, design theory, and desktop publishing. Upon completion of this class, students will have an understanding of graphic formats and skills to decide when to use which format, and format conversion. 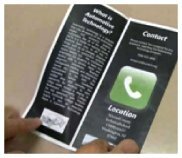 Students will demonstrate knowledge of electronic imaging and other image generation devices for reproduction photography. Students will progress their skills with sand carving, laser cutting, screen printing, and inkjet print and contour cut. 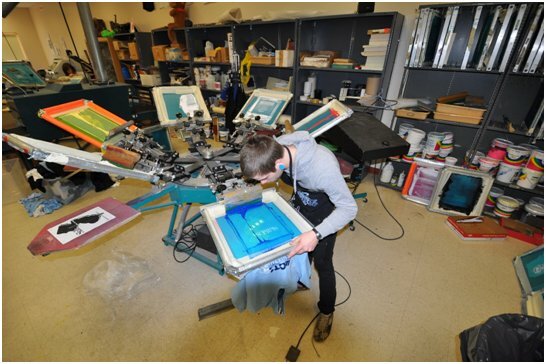 Students in the Graphic Arts program gain hands on experience using modern printing, publication, and production equipment. During Graphic Arts IV, students focus on production skills. They practice design, layout, digital plate making, presswork and binder procedures, as well as exploring waterless printing techniques. Throughout their fourth year, all students focus on portfolio development as they complete many “live jobs” for the school and public. Students’ progress to advanced presswork and strive to further develop their skills through the cooperative employment program.